This is a set of two Hot Bodies Gigabite 1/10 Buggy Rear Tires. 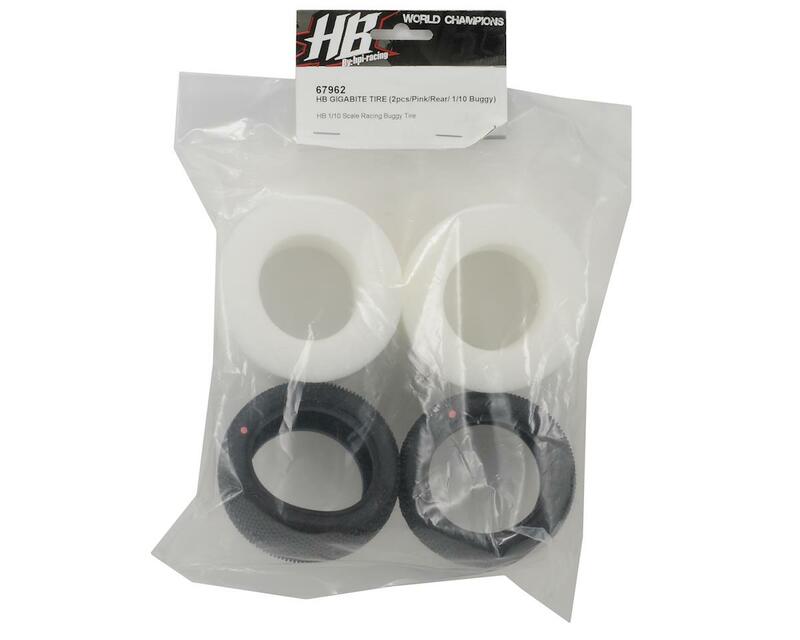 Hot Bodies Gigabite tires are suitable for hard & dry off-road surfaces such as hard-packed clay and 'blue groove' and many more surfaces you might encounter. 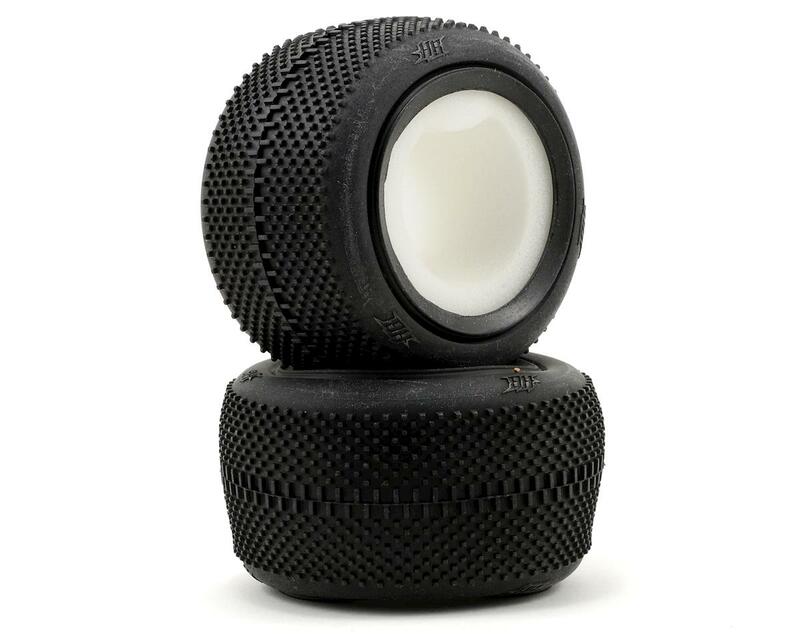 Tiny square mini-pins encompass the entire circumference of the tire which make these good for nearly all conditions. Pink: Extra-soft for maximum traction at the cost of tread life. Red: Soft for racing or low-traction surfaces. White: Medium, great for practice and all-around use. Blue: Firm for high-bite tracks. NOTE: These tires no longer include foam inserts.